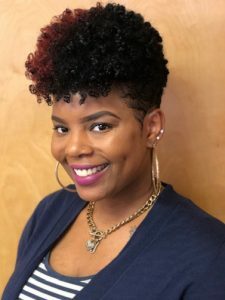 March 19, 2019 – (Princess Anne MD) – Catholic Charities is pleased to announce that Tomasha Blount and Shontia Edwards have joined the staff at its Seton Center location as case managers. The two bring with them a variety of community service experiences that will support the clients that come to the agency for support. 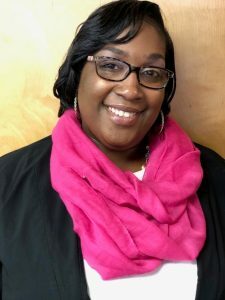 Blount most recently was a case manager at the Lower Shore Shelter, assisting residents to find the resources needed to transition to permanent housing. Edwards was a coordinator of community services for the State of Maryland, supporting and assisting clients in accessing services and resources. and referrals to other beneficial services. They will remain in contact until the household regains its financial self-sufficiency. Seton Center, a community center in Princess Anne, offers Catholic Charities services including the Homeless Prevention, Rapid Rehousing, Case Management, and Food Assistance services in our Basic Needs program, and Behavioral Health Services like routine outpatient therapy and psychiatric assistance. Services are available by appointment. Please call Seton Center at 410-651-9608 to make an appointment. Community support is vital in maintaining the mission of hospitality, service, and advocacy that served as the foundation of Seton Center. Donations can be made by mail to Seton Center, PO Box 401, Princess Anne, MD 21853. Donors can also make a contribution by credit card at Catholic Charities secure website, https://www.ccwilm.org/donate/donation-form/ and designate your gift to Seton Center. In addition to cash donations, Seton Center accepts donations of nonperishable food, diapers, clothing, furniture, and household items. Catholic Charities, the charitable arm of the Catholic Diocese of Wilmington, has been serving those in need for over 180 years, offering a wide range of services to strengthen families, care for children, assist the disadvantaged, and build human relationships throughout Delaware and the Eastern Shore of Maryland. ← Diocesan 150th anniversary year comes to a close.